Safestyle UK, the country’s leading manufacturer and installer of uPVC windows and doors, has announced plans to expand its current premises in Barnsley to build a 6000 square metre factory. The factory will be equipped with the latest technology including a new glass toughening furnace, automated glazing line, high speed cutting table and related cutting edge technology. 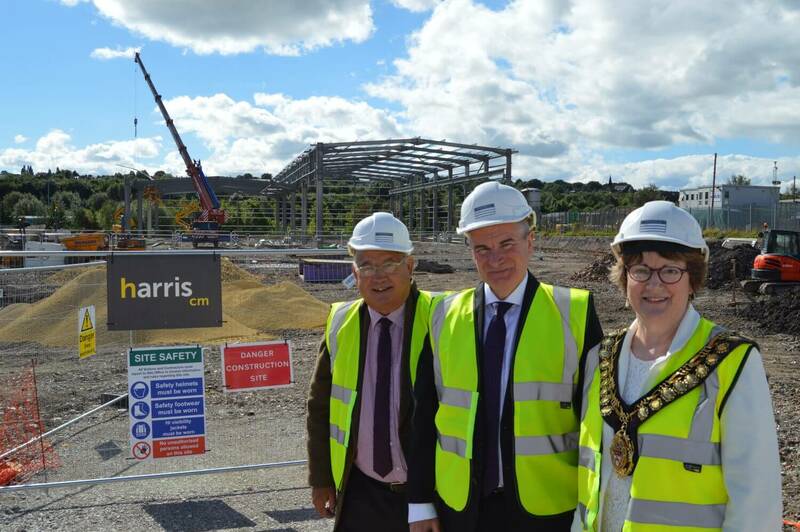 Planning permission for construction on land adjacent to its existing site has been secured and will allow Wakefield based Harris Construction Management Ltd to design and build the new £4.5million factory. Safestyle’s current premises located on Valley Road in Wombwell are at capacity and offered no opportunity for further growth. The additional space will provide the manufacturer with the opportunity for extensive growth in the future; with plans to more than double the output from its operations at the site with a total investment exceeding £9 million over the coming year and eventually lead to the creation of 145 new jobs. Enterprising Barnsley the business development arm of Barnsley Council, worked with and supported Safestyle UK on its recruitment and training, as well as exploring how environmental technologies might benefit the firm. Between April and June this year 435 private sector jobs were created in Barnsley, with more than half of these linked to the continued growth of large companies supported By Enterprising Barnsley. Safestyle UK is engaged in the sale, manufacture, installation and replacement of UPVC windows and doors for the UK homeowner market. Head Office based in Braford and its sole manufacturing facility is in Wombwell. The company employs a total of 668, of which 369 are based at the manufacturing site in Barnsley.